The GSMA’s Rowley estimated that more than $100 million had been spent so far around the world on research into health risks from mobile phone usage. Global spending on wireless equipment and services provided by companies such as Nokia, Ericsson and Huawei surpassed $1 trillion for the first time in 2009, according to technology research firm iSuppli. The COSMOS study is recruiting participants aged 18-69 in Britain, Finland, the Netherlands, Sweden and Denmark through mobile carriers. It will use data from volunteers’ phone bills and health records as well as questionnaires. Rowley, while welcoming the planned study, said organizers might have trouble finding enough volunteers, citing a previous attempt to carry out a similar study on a smaller scale in Germany in 2004, which foundered on privacy concerns. In Britain, COSMOS is inviting 2.4 million mobile phone users to take part, through the country’s four top carriers: Vodafone, O2, T-Mobile and Orange. It hopes 90,000-100,000 will agree. By late Thursday afternoon, 232 had signed up. The study will examine all health developments and look for links to neurological diseases such as Alzheimer’s and Parkinson’s as well as cancer. It will also take account of how users carry their phone — for example in a trouser or chest pocket or in a bag — and whether they use hand-free kits. A spokesman for Britain’s Health Protection Agency, an independent public body, said the study had the potential to give very reliable results. “The Department of Epidemiology and Public Health at Imperial College is one of the best research centers in the world for this type of study,” he said. COSMOS will announce its findings as it progresses. LONDON – The biggest study to date into the effects of mobile-phone usage on long-term health was launched on Thursday, aiming to track at least a quarter of a million of people in five European countries for up to 30 years. The Cohort Study on Mobile Communications (COSMOS) differs from previous attempts to examine links between cellphone use and diseases such as cancer and neurological disorders in that it will follow users’ behavior in real time. Most other large-scale studies have centered around asking people already suffering from cancer or other diseases about their previous mobile-phone use. They have also been shorter, since cellphones have only been widely used for about a decade. “One of the limitations of research to date is that when you ask people about their mobile phone use say five years ago there’s a lot of error,” said Jack Rowley, director of research and sustainability at industry body the GSM Association. 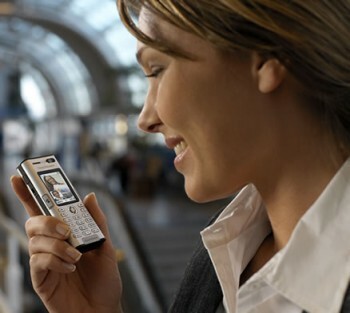 About 5 billion mobile phones are in use worldwide. To date, groups such as the World Health Organization, the American Cancer Society and the National Institutes of Health have found no evidence that cellphone use harms health. “Research to date has necessarily mainly focused on use in the short term, less than 10 years,” principal investigator Professor Paul Elliott of the School of Public Health at London’s Imperial College told a news conference. “The COSMOS study will be looking at long-term use, 10, 20 or 30 years. And with long-term monitoring there will be time for diseases to develop,” he said. The COSMOS study forms part of the Mobile Telecommunications and Health Research Program (MTHR), a UK body funded by a variety of government and industry sources and run by independent experts, mostly university academics. This message from Ben Levi pretty much sums up the dangers of cell phone use, as well as precautions that can greatly reduce risks of adverse health effects. Please make sure to educate others, especially kids, who are especially susceptible to adverse radiation effects. –t.h.g. As you all know, I’m pretty much of a techno-weenie, being an engineer by training, a Macintosh consultant, and general technology aficionado. Thus I have been very aware of the issues surrounding cellphone radiation and its impact on the human body, wherever it comes in contact (usually our ears). The issues are highly political, and highly profit-biased, in that those companies who stand to make the most profit (cellphone manufacturers and wireless phone companies) are the ones who are doing all of the funding of studies researching the health impacts (and, of course, not finding any negative impacts at all). Here is one recent article, this is from GQ magazine, which again notes the clear evidence, being covered up, that ill health effects from cellphone radiation is a timebomb waiting to happen… ESPECIALLY FOR YOUNG ADULTS who spend many hours a day with their cellphones glued to their ears. 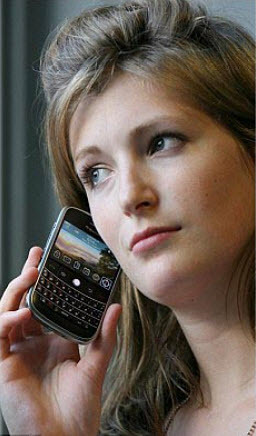 So what to do about reducing the risk of developing brain tumors if you use a cellphone a lot? 2) Use a headset! This is the approach I¹ve taken, and recommend to everyone who uses a cellphone. With a wired headset between the cellphone and your ear, you effectively remove the harmful effects of the electromagnetic radiation (EMR) being emitted from the cellphone during use (as long as the cellphone is not right next to your body). This is because the EMR is proportional to the cube of the distance… so its harmful effects drop off very quickly the further the cellphone is from your body. [Note: Using a bluetooth wireless headset will still use EMR to communicate wirelessly between the headset and the cellphone, so I do not recommend using them as a substitute, even though the EMR emitted from a bluetooth headset to a cellphone a few feet away is much much lower than the EMR emitted from a cellphone, which has to communicate to the nearest cellphone tower sometimes miles away, and thus must be much more powerful. Perhaps most worrisome, though, are the preliminary results of the multinational Interphone study sponsored by the International Agency for Research on Cancer, in Lyon, France. (Scientists from thirteen countries took part in the study, the United States conspicuously not among them.) Interphone researchers reported in 2008 that after a decade of cell-phone use, the chance of getting a brain tumor—specifically on the side of the head where you use the phone—goes up as much as 40 percent for adults. Interphone researchers in Israel have found that cell phones can cause tumors of the parotid gland (the salivary gland in the cheek), and an independent study in Sweden last year concluded that people who started using a cell phone before the age of 20 were five times as likely to develop a brain tumor. Another Interphone study reported a nearly 300 percent increased risk of acoustic neuroma, a tumor of the acoustic nerve. TO UNDERSTAND HOW radiation from cell phones and wireless transmitters affects the human brain, and to get some sense of why the concerns raised in so many studies outside the U.S. are not being seriously raised here, it’s necessary to go back fifty years, long before the advent of the cell phone, to the research of a young neuroscientist named Allan Frey. Ever worry that that gadget you spend hours holding next to your head might be damaging your brain? Well, the evidence is starting to pour in, and it’s not pretty. So why isn’t anyone in America doing anything about it? It’s hard to talk about the dangers of cell-phone radiation without sounding like a conspiracy theorist. This is especially true in the United States, where non-industry-funded studies are rare, where legislation protecting the wireless industry from legal challenges has long been in place, and where our lives have been so thoroughly integrated with wireless technology that to suggest it might be a problem—maybe, eventually, a very big public-health problem—is like saying our shoes might be killing us. Except our shoes don’t send microwaves directly into our brains. And cell phones do—a fact that has increasingly alarmed the rest of the world. Consider, for instance, the following headlines that have appeared in highly reputable international newspapers and journals over the past few years. From summer 2006, in the Hamburg Morgenpost: ARE WE TELEPHONING OURSELVES TO DEATH? That fall, in the Danish journal Dagens Medicin: MOBILE PHONES AFFECT THE BRAIN’S METABOLISM. 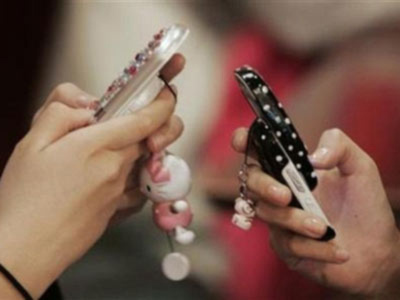 December 2007, from Agence France-Presse: ISRAELI STUDY SAYS REGULAR MOBILE USE INCREASES TUMOUR RISK. January 2008, in London’s Independent: MOBILE PHONE RADIATION WRECKS YOUR SLEEP. 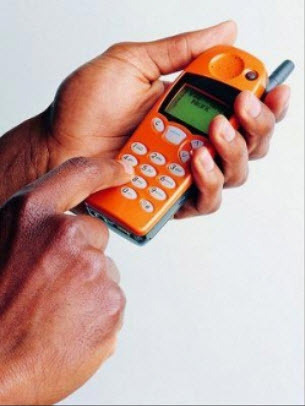 September 2008, in Australia’s The Age: SCIENTISTS WARN OF MOBILE PHONE CANCER RISK. Mobile phone firms have been indicted of concealing warnings about a illness risks of regulating their handsets. A notice which Apple’s renouned iPhone should be kept during slightest 15mm divided from a physique is buried low inside a manual. BlackBerry goes even further, observant business should have have have have have have make use of their inclination hands-free or keep them an in. from a physique ‘including a stomach of profound women as good as a reduce stomach of teenagers’. Again, this recommendation is dark in a direction booklet. All alternative manufacturers, together with Nokia as good as HTC, lift identical small-print warnings notwithstanding insisting which land mobiles opposite a ear as good as conduct is harmless. Health campaigners as good as politicians upon both sides of a Atlantic have been job for transparent warnings to be put upon handset boxes.They have been additionally perfectionist a open preparation campaign, starting in schools, to suggest upon a stable have have have have have have make use of a devices. Alasdair Philips, of Powerwatch, an eccentric organisation which investigates a reserve of mobile phones, said: ‘Most people have no thought about these warnings.‘The reserve recommendation should be enclosed upon a boxes as good as distant some-more prominently in a “getting started” territory of user guides as good as not usually in a item during a behind which frequency any one reads. ‘This should be usually partial of a most wider open preparation debate which starts in a schools.’ The reserve recommendation in manuals is written to extent supposed Radio Frequency exposure. This is pronounced to feverishness physique hankie as good as a little – vague – investigate suggests it is related to tumours in a brain. The researchers found that children speaking on a cell were 43 percent more likely to be hit or to have a close call in the simulated street crossings than kids who weren’t on the phone. They also kept track of how many times a child would look left and right before stepping into the street and found that number fell by 20 percent when a phone conversation was going on. There was no difference whether the participant was a boy or girl. One weakness of the study is that it relied on a virtual realty simulator. But, Schwebel says, the simulator has been validated in other experiments in which the researchers compared VR results to tests run in a real world. Kids don’t need to be banned from chatting on the phone when outside, however. Instead, parents simply should instruct them to finish their conversations before crossing the street. Other distractions, such as conversations with friends, listening to music, and text messaging, may also cause problems for children in this age group. The University of Alabama researchers expect to study the impact of those types of distractions in the future. 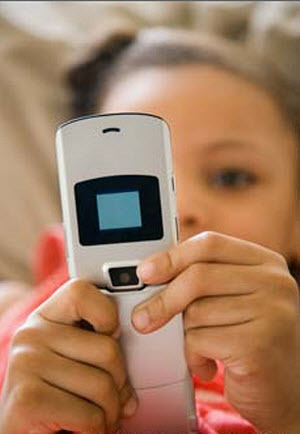 Experts in child safety applauded the cell phone study. “If you’re talking on a cell phone, you’re not paying as much attention to the environment around you,” says Susan Baker, a professor at Johns Hopkins School of Public Health, Baltimore. Brooke Carlson, a 44-year-old mom from Morgan Hill, Calif., has noticed how riveted her 9-year-old son is when he’s talking on the cell phone. Although she’d never thought of the dangers of crossing traffic while on the phone, Carlson says, “Now that I know about it, it makes total sense.” She plans to have a chat with her child about cell phones and street safety. The preteen study adds to the mounting evidence that cell phones can be a big problem when mixed with motor vehicles. Other studies have shown that any kind of distraction can adversely impact teen driving, so it’s not surprising that preteens might not do such a good job crossing streets while chatting on the phone, says Dr. Barbara Gaines, director of the Benedum Pediatric Trauma Program at the Children’s Hospital of the University of Pittsburgh Medical Center. For younger kids, parents might consider purchasing a phone with a plan that only allows the child to dial up his or her parents, suggests Gaines. That way the cell can be used for emergencies, but not for chatting with friends for hours. VADODARA/ANAND: While scientists across the globe are still debating whether usage of cell phones results in heart diseases, a new study carried out by scientists at Charotar University of Science and Technology (CHARUSAT) has revealed that mobile phones also affect eyes. The scientists, who have studied the impact of electromagnetic waves on human eye, say that usage of mobile can also lead to early cataract in lens apart from affecting retina, cornea and other ocular systems of the eye. “We are in ocean of electromagnetic signals and hundreds of signals are hitting human body every moment. It is affecting all our body parts, but we are not realising it,” says professor Ved Vyas Dwivedi, head of department of ECE at CHARUSAT, who along with dean of the faculty of engineering and technology Y P Kosta and lecturer Dhara Patel carried out the study based on a mathematical model. “The wavelength of wireless signals (which is about 2 to 2.5 cm) used for mobile phones and other wireless terminals matches with that received by the human eye. The dielectric constant (absorption capacity) of eye tissues is around 70 which is greater than unity (above 50). This means that the eye can absorb electromagnetic energy very quickly,” explains Dwivedi. During the study, scientists computed the specific absorption rate (SAR) and maximum temperature increase in the eye because of electromagnetic radio frequency fields generated by wireless terminals such as a mobile phones. 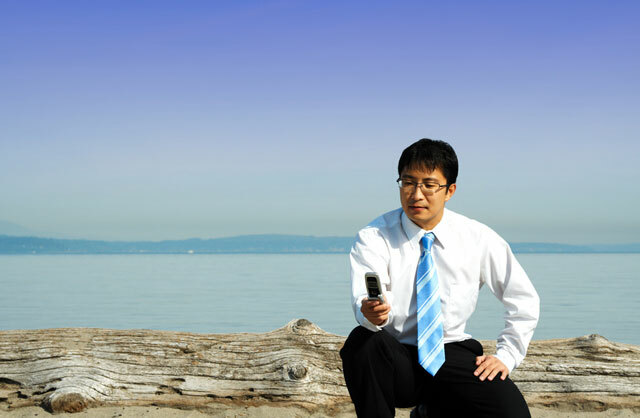 SAR and temperature rise depend on the distance between eye and radio frequency transceiver (the mobile phone) and the angle between the line of sight and shortest normal path. “The problem is not that the eye absorbs the energy, but that the heat absorbed by the eye does not get transmitted or radiated out of the body,” says Dwivedi, adding that prolonged usage of mobile phones can affect retina, sclera, lens, cornea as well as vitreous humour which are parts of the human eye. These scientists have also recommended that a mobile handset should be kept as far as possible from the eye. “It should not be used more than is necessary. A user should avoid use of mobile in rural areas or a car where the cell phone uses more power and the SAR value can be ten or hundred times higher than the normal,” they suggest. This group of scientists is also planning to approach the government in collaboration with a hospital to get license to conduct tests on human to further study mobiles affect on human eye. Mobile phone masts have attracted enormous controversy because of concern about the health risks of living in proximity to one, but is there really any truth to the scare stories? Despite ongoing concerns about the potential long-term health risks of mobile phones, most people are still happy to press a mobile up to their ears, but try suggesting putting up a mobile mast somewhere near their home and you will likely be met with a look of abject horror. Why is it people are convinced that mobile base stations are dangerous but mobiles aren’t? Are Mobile Phone Masts Harmless? However, despite such complaints, the reality is that, just as with mobile phones themselves, there is just no conclusive evidence to prove that mobile masts are in any way dangerous. The majority of evidence now available suggests there are no adverse health effects from exposure to radio frequency (RF) waves. When the first Government-funded research into potential dangers of mobile masts was carried in 2008, the results found them to be harmless. 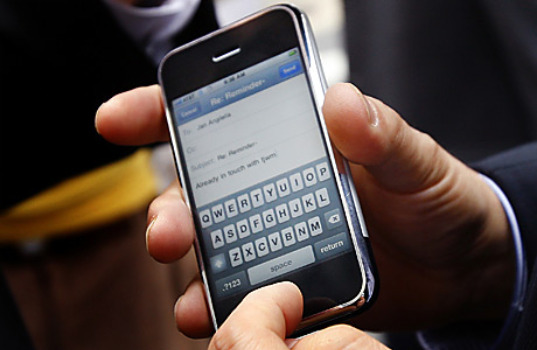 One of the lead researchers, Leeka Kheifets of UCLA, had previously stated in writing that there was “no consistent evidence of a causal relationship between exposure to radiofrequency fields [including those from mobile phones] and any adverse health effect.” A well-known skeptic of the connection between mobile phone use and health or behavioral problems, Kheifets admitted to being surprised by the current study’s findings. The researchers attempted to demonstrate that some other confounding factor – such as smoking during pregnancy, socioeconomic status or a family history of mental illness – had caused the behavioral effects observed. But when they corrected for these factors, the contribution of mobile phones actually became statistically stronger. 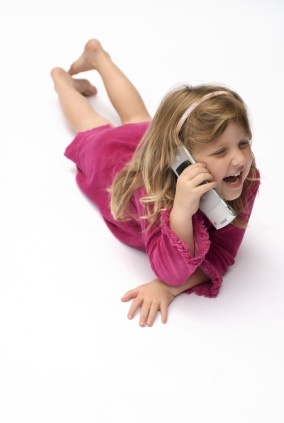 Saying that they did not know of any biological mechanism by which mobile phones could cause behavioral problems, the researchers urged that their results “should be interpreted with caution.” They also suggested that there might be some correlation between cellular phone use and some other factor that leads to behavioral difficulties – such as neglect by a mother that spends too much time on the phone. Sam Millham of the Mount Sinai School of Medicine and the University of Washington School of Public Health, said that he is certain the study results are accurate. Recent research conducted in Canada on pregnant rats demonstrated that radiation similar to that from mobile phones caused structural changes to the brains of the fetuses, he said. Millham is considered a pioneer in researching the connection between mobile phone use and negative health effects.